Photography is an art and also a craft. You learn the basics and then go ahead to explore your creativity. As a photographer, it is important to keep coming up with new concepts, ideas, and elements to give a fresh perspective to your photographs. 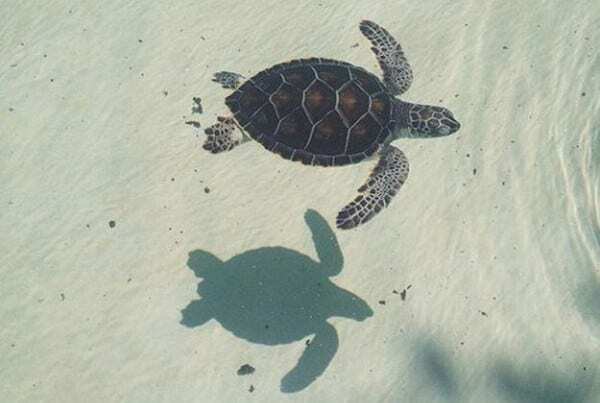 One element that can always add newness to your photograph is the shadow. 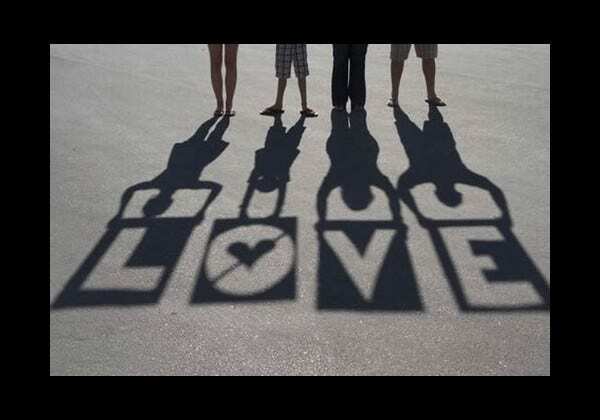 We have some of the most amazing shadow photography that we would love to share with you; they have been done by some very creative individuals. If you have even a slight interest in photography, you must have seen this photograph by George Steinmetz, taken at Wadi Mitan in western Oman. 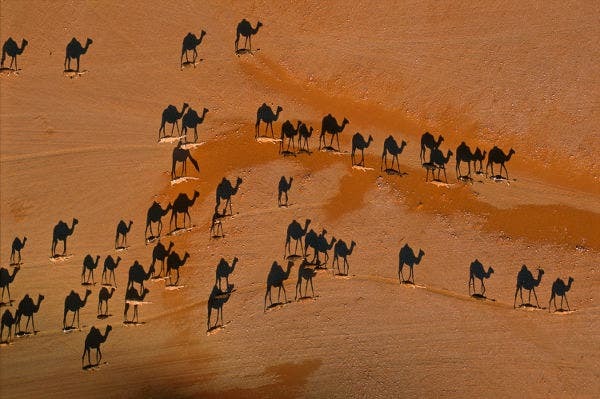 The photograph has been taken from 100 ft of height and it brilliantly captures the herd of camels crossing the Empty Quarter. No wonder, this went on to be a highly shared photograph over the social media. This image has been capture by Noah Rosenfield at Kruger National Park, South Africa. 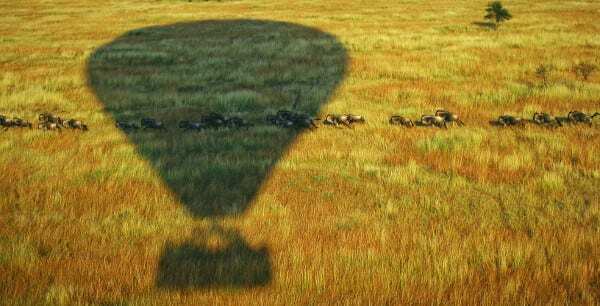 It is an aerial click that perfectly captured the shadow of a hot air balloon. The concept of this photograph is not anything that we have not seen before. But the reason why we included this photograph here is because of the sharpness of the shadow and the overall photo quality. 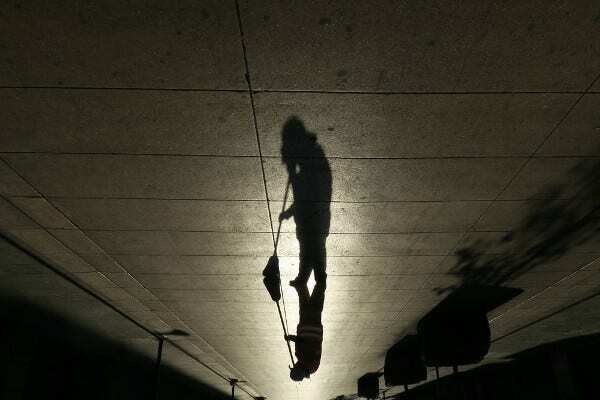 It is not an easy task to capture shadows that sharp. However, do not confuse this with Black and White photography. 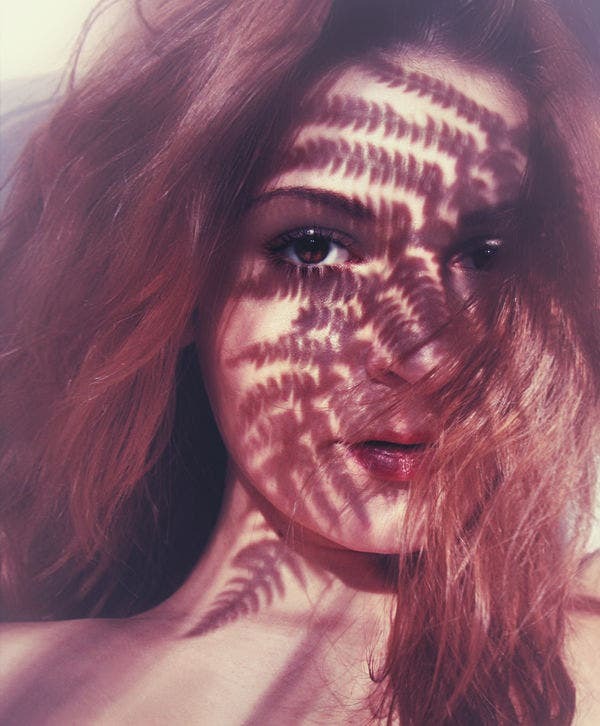 The image captures the shadow of ferns on the face of the subject. 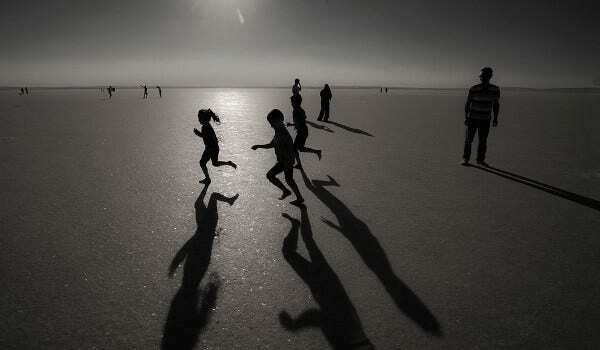 Even while not being the primary focus of the image, shadows can be a great design element in the photograph. 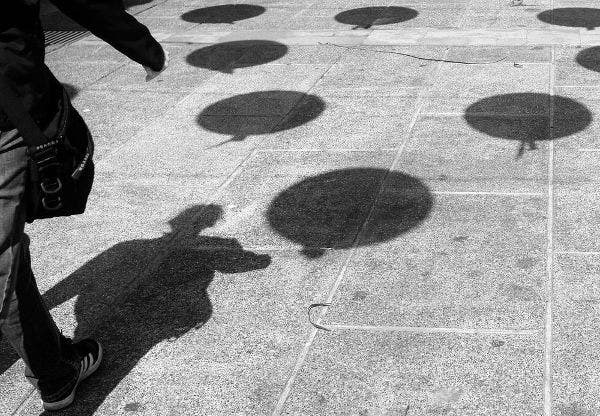 The photograph was taken on the street of Mexico by Denisse Pohls. 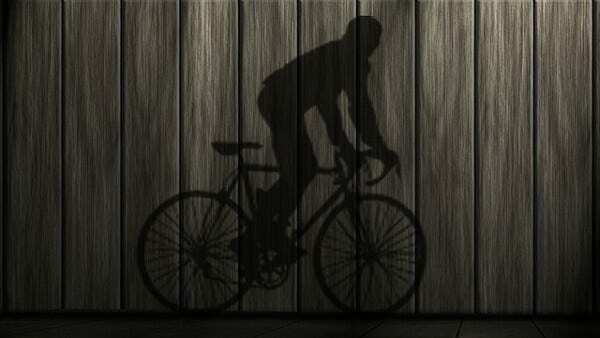 Just one tilt and you know how wonderfully the shadow has taken over the picture, making it a great capture. 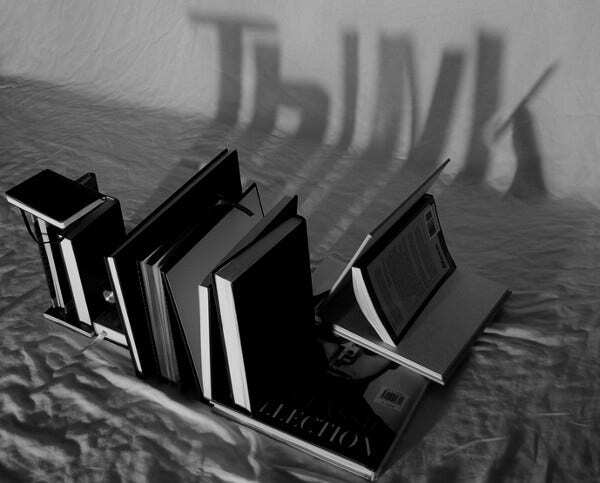 The best thing about the photograph is the interesting concept. 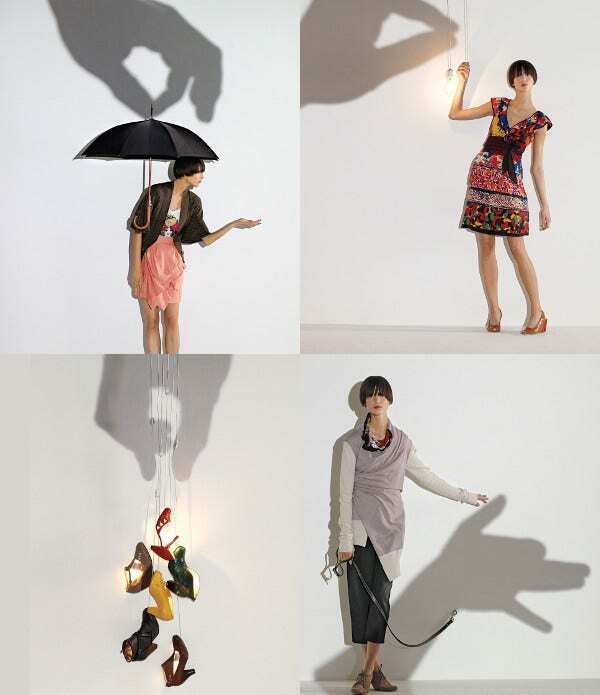 The shadow plays an important role in the photograph and comes off as the main subject of the photograph. This photograph was captured by Faisal Almalki at London zoo. 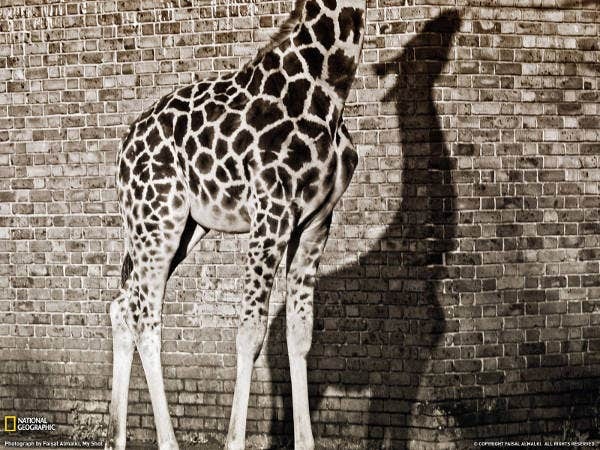 The frame doesn’t capture the Giraffe completely but the shadow manages to capture what is missing of the subject in the photograph. 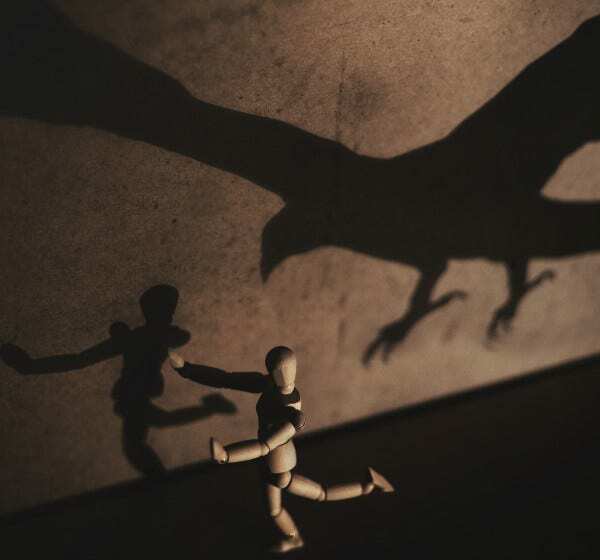 Another Conceptual photography! British artists Tim Noble and Sue Webster did a wonderful job of arranging a pile of junk in such a way that when light is projected against it, the shadow that is formed is entirely different from that of our perception. A great subject for photography and a great lesson for life. Photography is about playing with light, but if you manage to play with shadows and play well, you can be sure of a great shot. 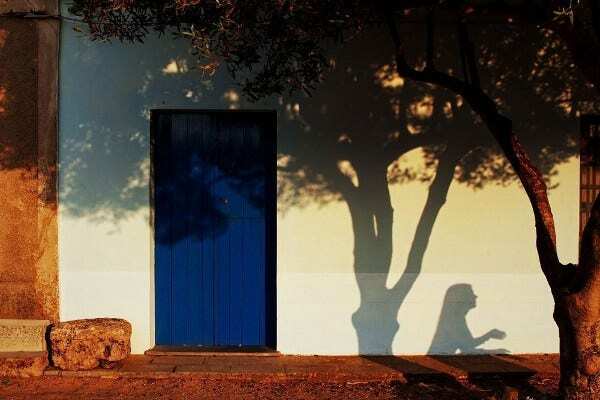 The shadow in this photograph has been cleverly used and works perfectly for the subject. 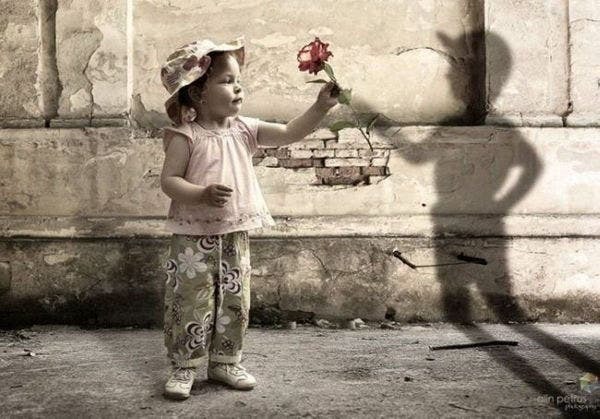 Photography is about light, and shadow is an important aspect of light. Therefore, one should try and experiment with shadows every now and then, you never know you might capture a great frame. We hope these photographs are beautiful enough to inspire you.